The following collage is based on a work of art called “Bodhisattva of Compassion (Guanyin),” located in the Philadelphia Museum of Art’s Asian Art wing. Always loved that Oasis song. 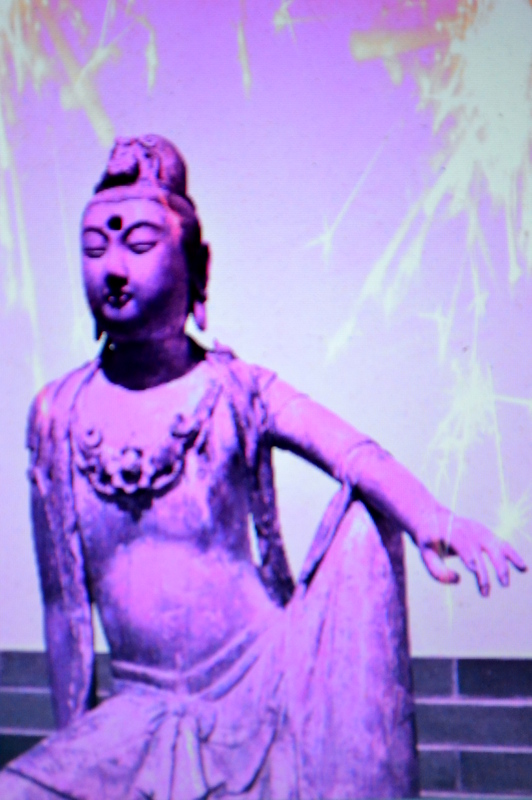 And what a graceful bodhisattva you chose for your piece! Very nice work. Thanks for stopping by to offer your words of encouragement, Patricia; I’m so glad you enjoyed the image. And the song’s a gem, isn’t it? Takes a while to get through, though; I think the long version runs 8 minutes or so.